Liven up your space this summer with a Vintage Indigo Flag from Molly Wood Garden Design - Orange County’s favorite award-winning landscape and garden design firm. 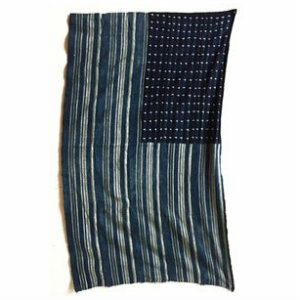 These beautiful, naturally-worn flags are the perfect Americana addition to any indoor or outdoor space, and a must-have just in time for the Fourth of July! Available in various sizes & shades of indigo and white, these flags are a great statement piece that can blend into any Boho Chic, Modern or Traditional home style. Even better, Greer’s OC subscribers and followers can take an extra 15% off purchase! Check them out in-store or online using the links below. Molly Wood Garden Design is located at 1660 Orange Avenue in Costa Mesa.